Four Premier Training opportunities for MOA members have been scheduled for 2019. Session dates are March 21-22, May 31-June 1, August 22-23 and October 25-26. 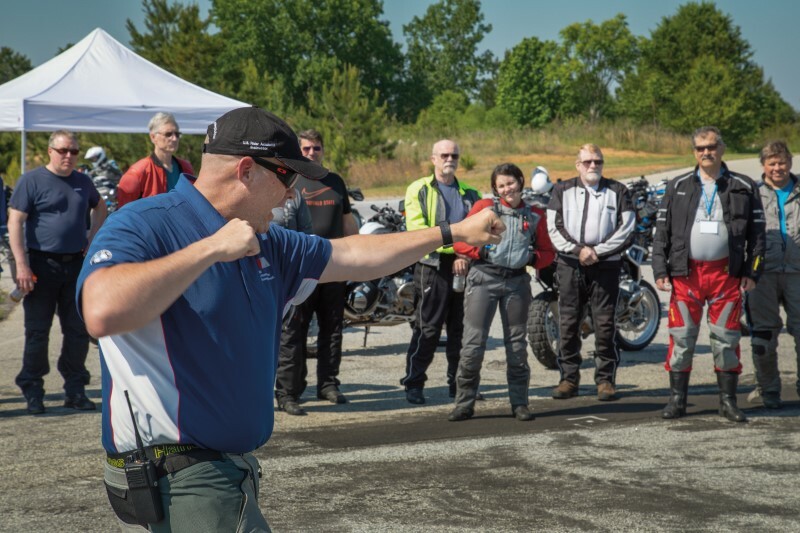 With each session limited to only 14 participants, this full day of training will encompass both on and off-road skill development using BMW Performance Center facilities, motorcycles and instructors. This unique opportunity includes two nights lodging at the Greenville Marriott Hotel with a first night "meet and greet" and introductory session at the Performance Center. Day Two features a full day of both on- and off-road training with breakfast, lunch and an evening dinner. Transportation between the hotel and the Performance Center facility, a special Premier event polo shirt, and the use of a Performance Center BMW motorcycle are also provided. For a complete training class at the Performance Center including motorcycle rental, meals and lodging, riders would easily expect to pay $1,200 or more. Thanks to the MOA Foundation and the training opportunities it provides, MOA members can enroll in the Premier Training events for only $795. This fantastic offer is available only for BMW MOA members and represents another benefit of MOA membership and the continuing commitment of the MOA Foundation to provide education and training opportunities to MOA members of all skill levels and abilities. This program is exclusive to any other existing discounts or MOA Foundation scholarship opportunities. Availability for this unique training event is sure to fill quickly. Register online or call the BMW MOA at (864) 438-0962. Is their a premier training course offered for road bikes only? Can't wait to do this! All signed up! Still waiting on the details though!